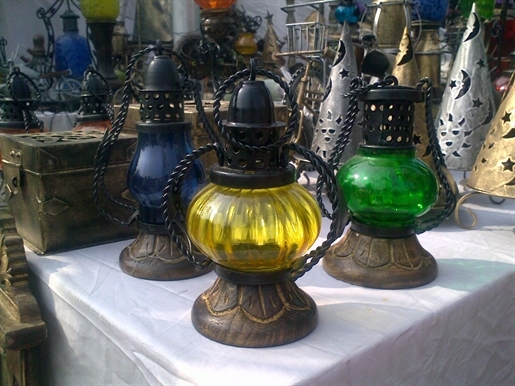 We are an exclusive shop for lanterns and glass lamps. Our lanterns come with a hanging clamp for both inside and for outside of your tent. The lantern is fitted with an electric bulb and a wire to plug in, it is ready to use. We also sell fabric lamps, with beautiful hand patchwork and mirror work on it. these lamps are made of very bright and colorful fabrics, to give your party that vibrant color effect. You can alter the complete look of your room, with our exclusive fabric lamps. Check out more pictures on our Blogs.